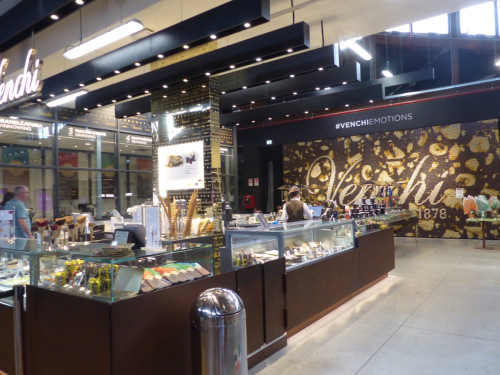 Italy’s New CostCo? Nonna would never approve. 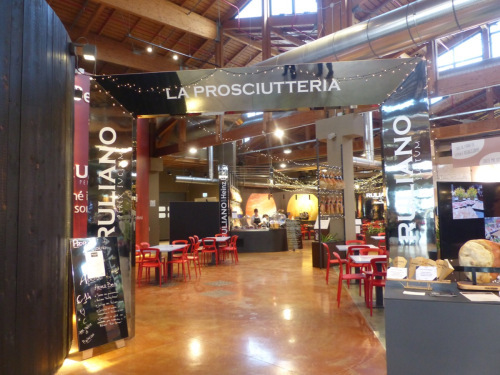 Just outside Bologna, FICO is the world’s largest food park. 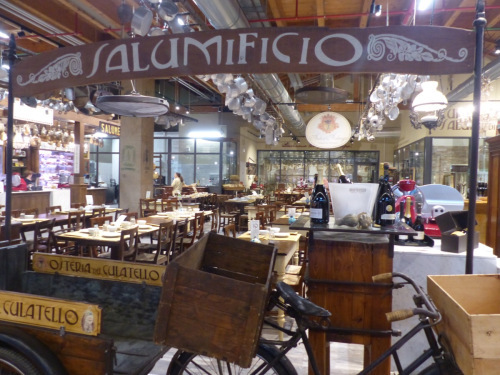 Food from all over Italy is on display in a huge 100,000 square metre area that used to be a wholesale market in the 1980s. 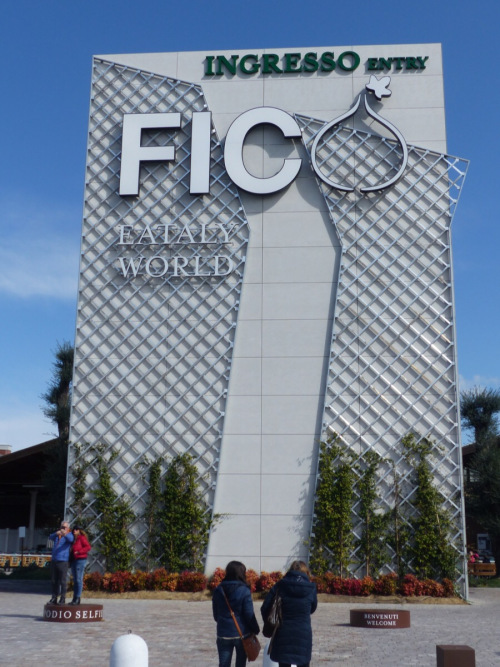 Helpfully, FICO has installed a selfie platform in front of the sign. 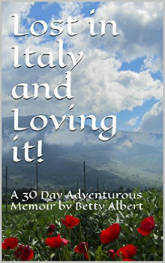 The complex took 4 years to complete, cost €120 million, and works with more than 150 Italian companies. It was opened in November 2017. 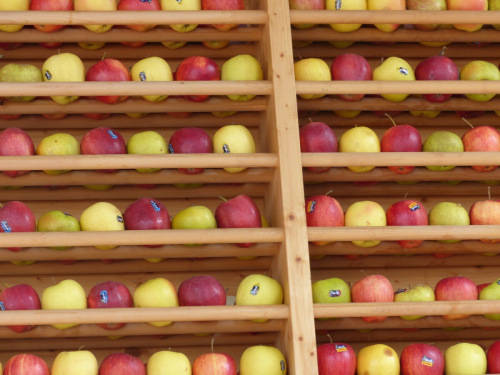 The entrance has a wall of apples, along with a sign asking you not to take them. 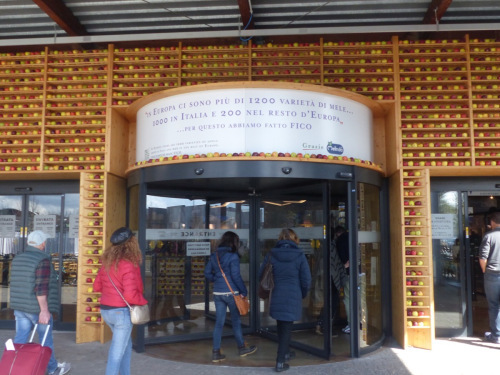 The sign above the entrance informs us that there are 1200 varieties of apples in Europe, 1000 of which are in Italy. 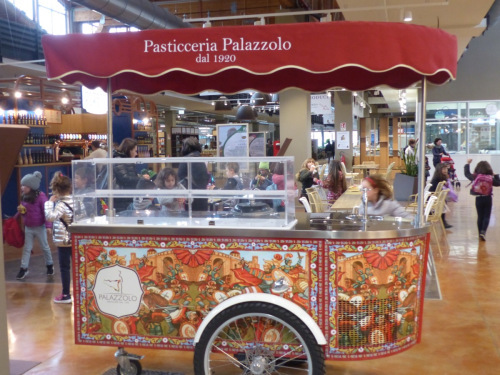 Inside there is an amazing display of producers, offering people of all ages classes in the history of food, the relationship between humans and nature and the importance of eating well.